While dishwashers indisputably save time in the kitchen, a questionnaire sent to Swedish households found the appliances may be increasing children's risks of developing allergies. The questionnaire-based study, published Monday in the journal 'Pediatrics,' examined more than 1,000 Swedish families with children between the ages of seven and eight. Respondents filled out the questionnaire about their children’s history of asthma, eczema, and rhinoconjunctivitis. They were also asked whether they hand-washed their dishes or machine-washed them. Parents who mostly washed their family's dishes by hand were significantly less likely to have children who developed eczema, and somewhat less likely to have children who developed allergic asthma or hay fever. "I think it is very interesting that with a very common lifestyle factor like dishwashing, we could see effects on allergy development," Dr. Bill Hesselmar of Sweden's University of Gothenburg, who led the study, told NPR. Researchers found that eczema was reported in 23 percent of the children whose parents hand-washed dishes, versus 28 percent in those households where a dishwashing machine was used. Similarly, 1.7 percent of children in hand-washing homes had asthma, compared to 7.3 percent of children in homes that used dishwashers. 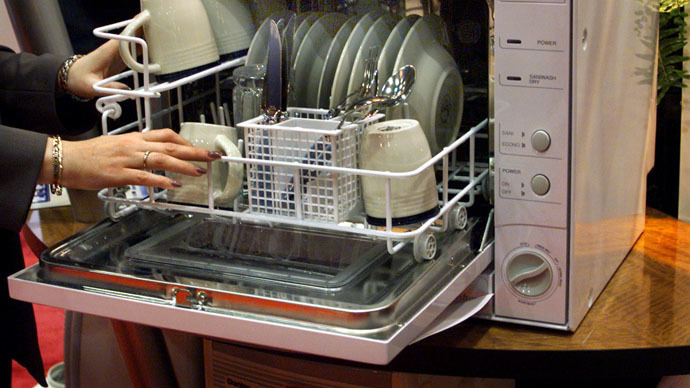 And instances of rhinoconjunctivitis were 13 percent higher in dishwasher homes compared to 10 percent in hand-washing homes. The study found that the rate of allergies was even lower for children who ate fermented foods in addition to food bought food directly from farms. One-third of the hand-washing families in those instances suffered from allergies, compared to 46 percent of children in the families that used a dishwasher and didn’t consume fermented foods. With this study, scientists are exploring the “hygiene hypothesis,” which argues that exposure to an array of microbes in early life helps a child develop a healthy immune system. The theory stems from the research of microbiome – the bacteria that naturally resides in the human body. The composition of the microbiome has also been linked to obesity, autoimmune disease, depression, and fetal development.